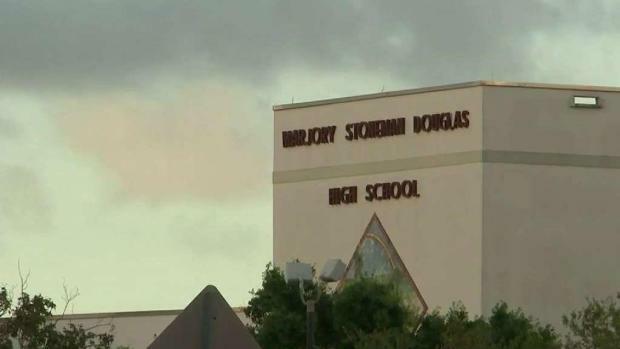 Survivors of the Marjory Stoneman Douglas shooting filed a lawsuit against Broward County officials. 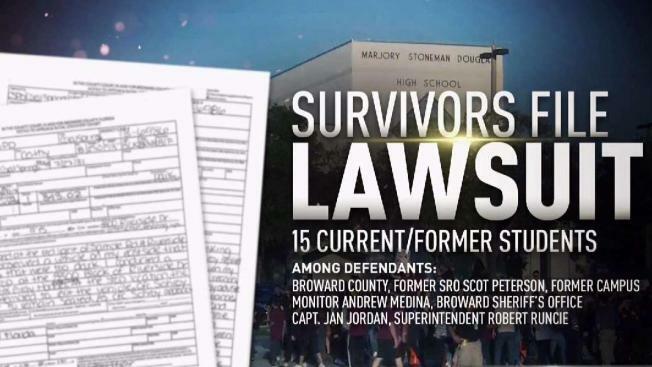 More than a dozen students present during the mass shooting at Marjory Stoneman Douglas High School in Parkland, Florida, have filed a federal lawsuit against Broward Schools Superintendent Robert Runcie, Broward Sheriff Scott Israel and other law enforcement officers. The lawsuit, filed by the 15 students on Wednesday, also names school resource officer Scot Peterson, BSO Capt. Jan Jordan, the commander at the shooting scene, former Stoneman Douglas security monitor Andrew Medina, three officers referred to as "John Does" and Broward County. The suit claims the students' civil rights were violated and the county's "policies and procedures, and training or lack thereof, demonstrated deliberate indifference" to the students' rights, and "that deliberate indifference caused the herein complained-of harm to take place." 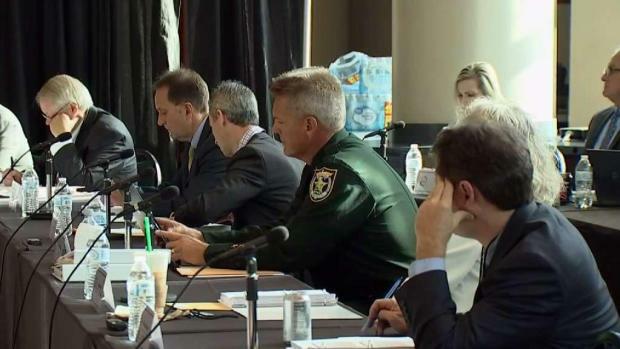 Broward Schools and the Broward Sheriff's Office said they had no comment on the suit. Most of the students who filed the lawsuit are identified only by their initials. They weren't physically injured in the shooting but suffered "severe psychological injury and trauma," the suit says. "That day we were just focused on making our plans for college, what we were gonna do in the future, prom, grad bash, just some of those events," one of the students named in the suit, Audrey Diaz, said at a news conference Wednesday. "Some of my friends who were killed that day weren't able to go to those events. So we thought we were safe at school and we would always be protected." The suit also claims Peterson had unlawfully taken $200 from a student the morning of the Feb. 14 shooting, accusing the student of being a drug dealer. He eventually gave the money back to the teen, who claimed he was taking his girlfriend out for a Valentine's Day dinner that night, the report said. Peterson later failed to protect the students when the shooting unfolded, the suit claims. "His job duties required him to run towards danger at risk of life and limb, and not to run away from danger for the sole purpose of sole-preservation," the suit reads. "His arbitrary and conscience-shocking actions and inactions directly and predictably caused children to die, get injured, and get traumatized." The suit, which doesn't name shooting suspect Nikolas Cruz, claims Jordan "refused to allow emergency personnel to enter the school, even into the safe areas, to save lives" and Medina "failed to stop Shooter, question him, or lock down the school, even though he saw Shooter walk past him and he recognized Shooter to be a known danger to the school." NBC 6's Ari Odzer has more on the monthly meeting organized in the wake of February's mass shooting at the Parkland school - and what some officials are saying got in the way of the suspected shooter being kept from getting a gun. Medina's attorney said the lawsuit is a tactic by attorneys to get publicity and said he'd be shocked if it isn't dismissed.